I made chili with the first can of accidentally-purchased white beans; now, what to do with the second can? I considered making another batch of that heavenly chili, but a brave chef would branch out and try something new. And I really do try to be a brave chef, after all. 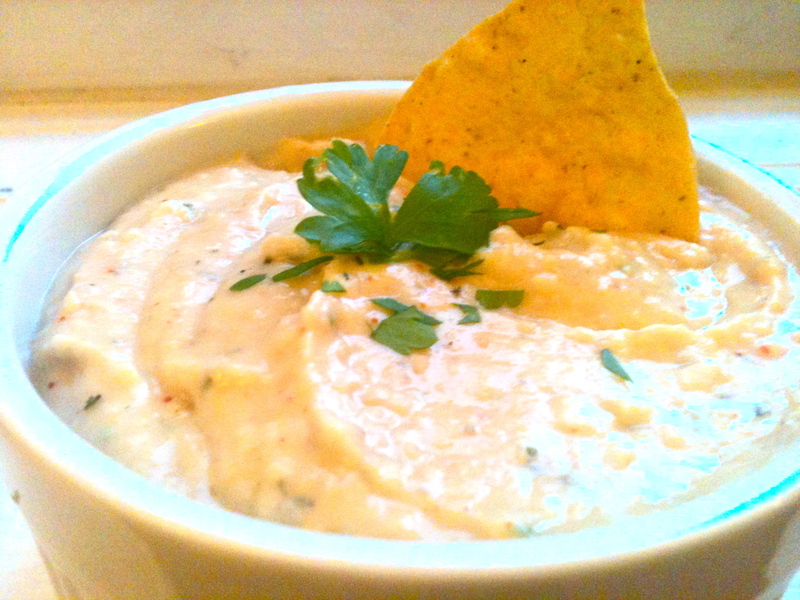 So I took the advice of my cousin Caitie and my reader Laurie and made a bean dip. This herby, spicy dip is a great substitute for hummus (ironically, that’s what I meant to make when I picked up these cans of beans in the first place! ), but spread a hefty scoop on a sandwich and you’ll go nuts! A totally guilt-free dip or spread–what more could I ask for from an ingredient I bought by accident?! 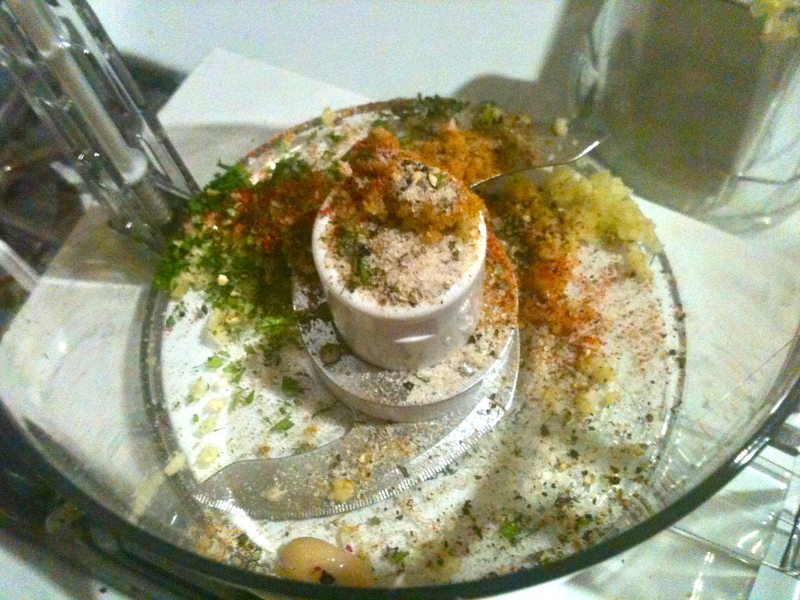 Combine all ingredients in a food processor: first the gorgeous garlic, herbs, and spices. 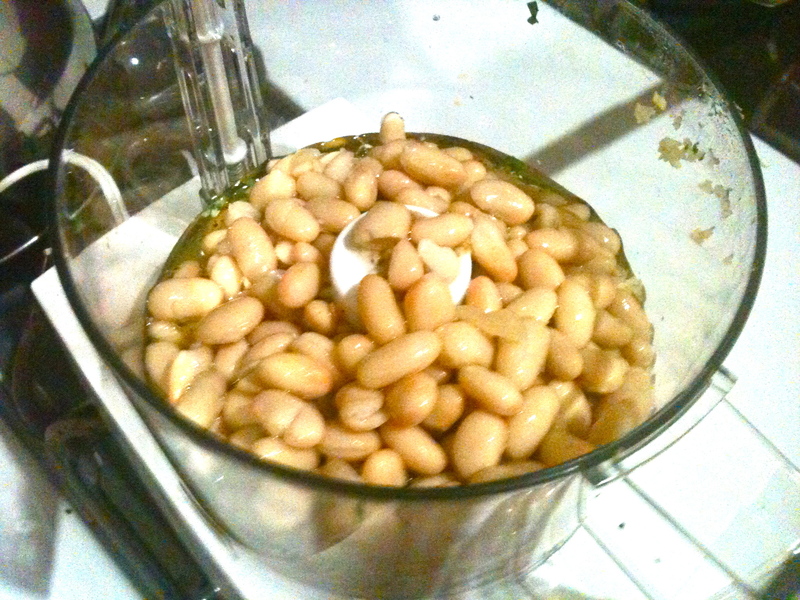 Then the beans and olive oil. Blitz everything until you reach desired consistency. Add more olive oil as needed. 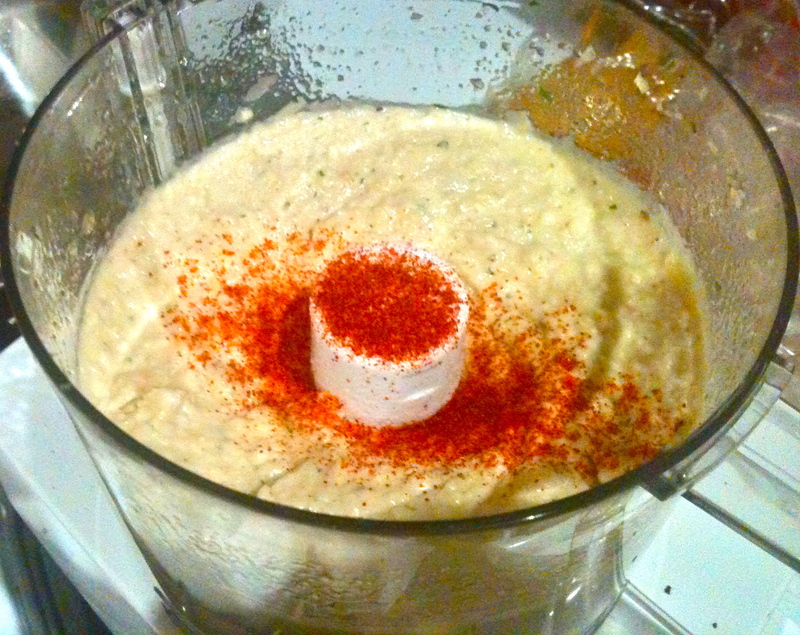 Then add more cayenne pepper because you didn’t add enough the first time. Garnish with parsley and serve with warm pita bread, tortilla chips, spread on a sandwich, or my favorite, with orange and purple carrot sticks. Next Warm Lentil Salad with Goat Cheese and Roasted Beets. This sounds wonderful and I love the photos. I bought Great Northern Beans and potato chips at the grocery store yesterday so now I now what we’ll be having for a snack this evening! Thanks for the mention.